Google is apparently working on a smart speaker with a screen on it, very similar to Amazon's Echo Show. 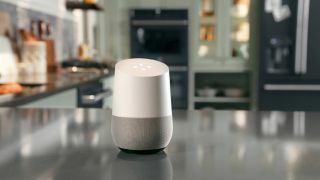 It already has an Echo competitor in Google Home, and it makes sense for it to introduce a device with a screen, especially when you factor in Amazon’s recent announcement of the Spot, a small device capable of displaying video, bringing Amazon’s screened offerings up to two. This is all unconfirmed at the moment, and comes from multiple unnamed sources feeding information to TechCrunch. One of the sources is apparently getting information directly from a Google employee. Apparently, the device (codenamed Manhattan) is going to be pretty similar to the Show in terms of screen size, at around 7 inches. Unlike the Show, Manhattan will run on Android, which Google is hoping will make it easier for developers to build apps for it. What’s interesting is that Google’s own app YouTube has recently stopped working on Amazon devices, although Google cited “Amazon’s implementation of YouTube on the Echo Show violates our terms of service, creating a broken user experience” as its reasoning. As one of the major ways that people consume video media, YouTube is an essential platform for whichever smart screen has it. Amazon has its own Prime video service, and we’re sure that on top of YouTube Red, Google will be wanting to secure third-party apps like Netflix for the Manhattan too. Price and release date are currently unclear for the new device. Reports indicate that the original release date was planned to be mid-2018, but due to Amazon’s releases, there is a push to try and release late 2017. There is a Google event on October 4 for the new Pixel, and we’re hoping that Google will tell us a bit more at that event, but recent leaks suggest we're more likely to see a Google Home Max and Google Home Mini.